These fulvas are in full sun in a roadside slough. It is a drainage area that typically would be wet-to-damp but which could dry out periodically. 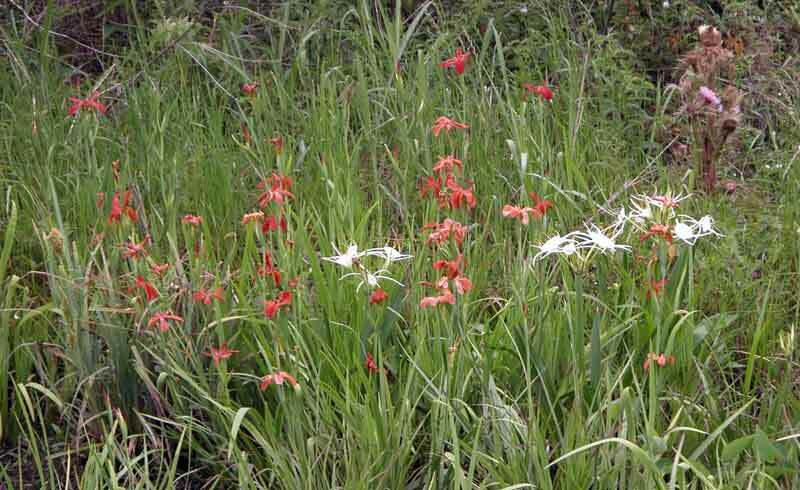 Fulva is often found among Spider Lilies (Hymenocallis caroliniana), especially in open, sunny areas. Except after a heavy rain, the irises would not be in much more water than this. 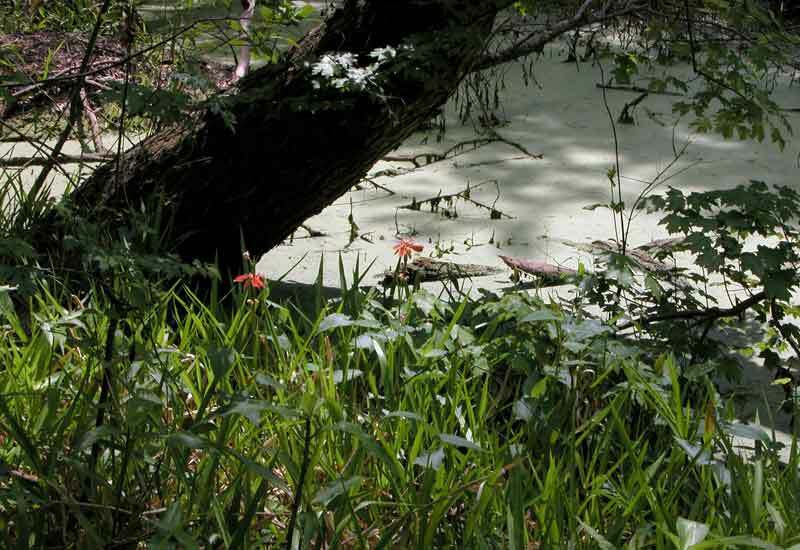 They are not found in a cypress swamp, as Iris giganticaerulea often is. This is a wide view of the roadside habitat of the fulvas shown above. 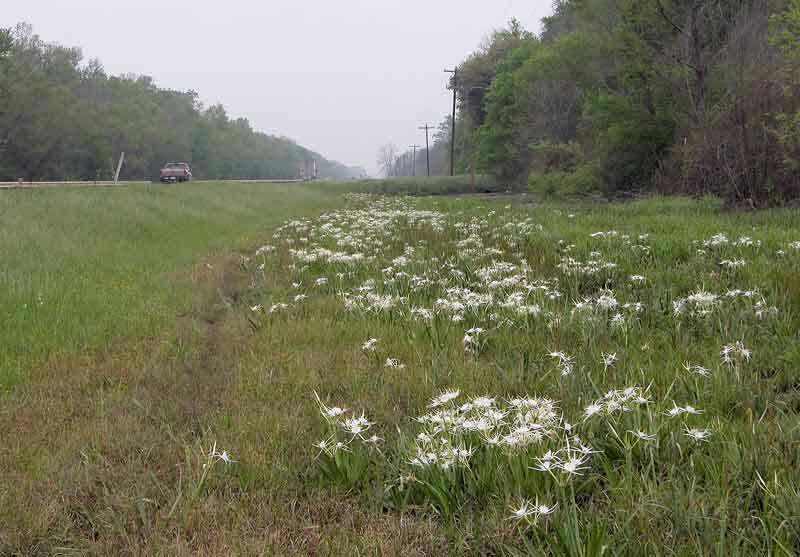 These fulvas are also growing in a roadside slough but in a much more shaded area across the River from New Orleans. There are trees on both sides of the slough but light comes in through the break in the canopy. 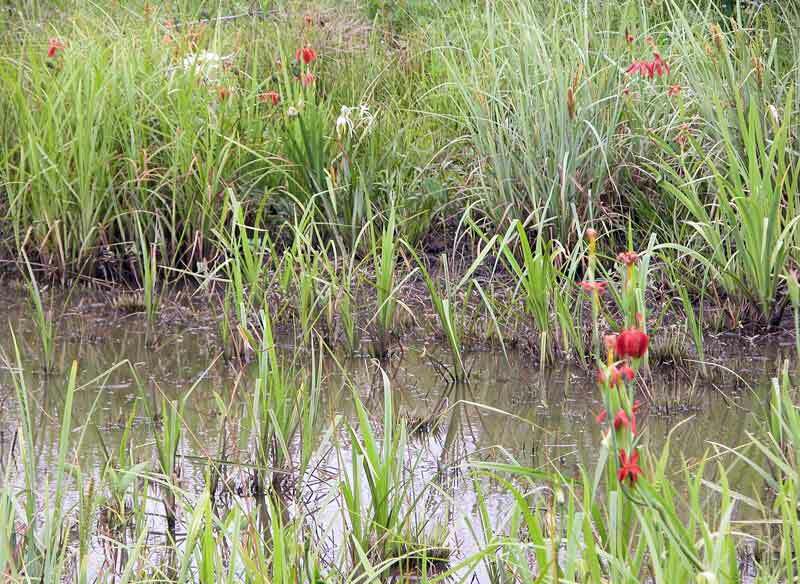 The irises grow well along such wooded waterways, but not as densely as in the open areas shown above. They are better protected, however, from their natural enemy, the Highway Department.